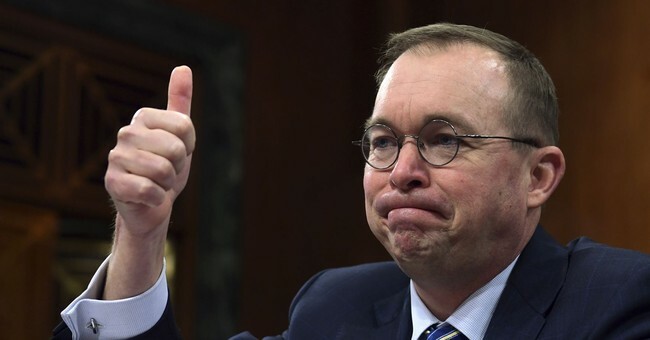 The Trump administration proposed to overhaul the Supplemental Nutrition Assistance Program (SNAP), also known as food stamps, in a recent budget proposal. The plan aims to preserve benefits while promoting “efficiency” and “program integrity” by replacing half of the cash benefits for many recipients with a “USDA America’s Harvest Box” of preselected, shelf-stable food. The new proposal argues that this transition will ensure U.S.-sourced food is used, lower program costs, and standardized nutritional values for SNAP recipients. However, the results of this overreaching reform are bound to raise administrative fees and perpetuate inefficient USDA subsidies, while ignoring basic human dignity by infantilizing program recipients. It is ironic that a Republican administration has proposed a more detailed and restrictive social program to reform SNAP. Conservatives constantly lambaste state paternalism when it comes to environmental issues or soda bans for its tendency to corrupt liberty and personal responsibility, and they are right. Moving to the “America’s Harvest Box” model of SNAP does just that by restricting choices and treating all food stamps recipients identically. Why would a Washington bureaucrat know better how to best support and feed your own children and families? The federal government has a long history of failed, top-down, healthy eating reforms when it comes to nutrition labels, school lunches, and the now retired food pyramid. It would be foolish to assume this reform would not be prone to the same mistakes. Giving consumers options not only leads to less economic waste, but promotes greater responsibility when it comes to choosing food, and allows flexibility when it comes to different dietary restrictions recipients might have. Having the federal government mandate what meals a mother can cook for her family is not in line with the small-government philosophy Republicans claim to support. In fact, the proposed SNAP boxes are the nanny-state at its very worst, allowing big government control even the smallest aspects of our lives. Another pillar of “USDA America’s Harvest Box” reform that has received support from Agriculture Secretary Sonny Perdue is that it ensures that the food “is home grown by American farmers and producers.” While increasing American jobs is a major goal of the Trump administration, when it comes to agriculture, this is a terrible goal for economic efficiency. SNAP boxes could artificially prop up agricultural industries that USDA policies have been inflating for years. When food stamps were first proposed in the 1930s part of the original goal was to reduce farm surpluses, and it seems the Harvest Box might be a return to that past policy. Since the 1930s the USDA has been giving farmers handouts in the form of ballooning subsidies to the tune of $20 billion or more per year, making it America’s largest corporate welfare program. These subsidies encourage farmers to produce more than most Americans need or want, leading to stockpiling excess, unsold products until they are eventually bought up by the USDA, and dumped onto the economies of Haiti, Burkina Faso, Mexico, and many others. Besides creating massive amounts of waste and economic inefficiencies in the US, “crop dumping” destroys international industries in corn, milk, peanuts, and other products by flooding international markets with subsidized crops that make it impossible for local farmers to compete. American farmers do not need an excuse to produce more product. There is more than enough to go around: 60 foot tall mountains of excess corn, 66 Olympic swimming pools full of excess milk, and much more produced as a result of these programs in just a single year. Whether you believe in reforming welfare programs like SNAP to improve nutritional value, or trying to prevent the already negligible levels of fraud, altering a social program to limit choices for those it is meant to help in order to further prop up big farming is corrupt. It is also unlikely that the Harvest boxes will result in the dramatic cost savings projected in the budget. Cost savings from the Harvest Box program in combination with other SNAP program reforms like increasing eligibility requirements, are projected to save around $213 billion over the next 10 years when compared to the current law. Considering the extra cost burden in designing a program for recipients, it is hard to see how the Harvest Boxes contribute to the projected cost savings. Many groups have already pointed out the increased administrative costs likely to follow the proposal. It is laughable to think that adding additional nutritional-based research, packaging, and distributional burdens in order to implement the program will somehow save the government money. Making the SNAP program more complicated is bound to increase costs, not reduce them. Harvest Box proposal is bound to create problems. Policies that improve the efficacy of social safety net programs while reducing cost should aim to simplify rather than complicate. If the Trump administration is pursuing a more cost-effective and efficient SNAP program, they should abandon the idea of a Harvest Box altogether.